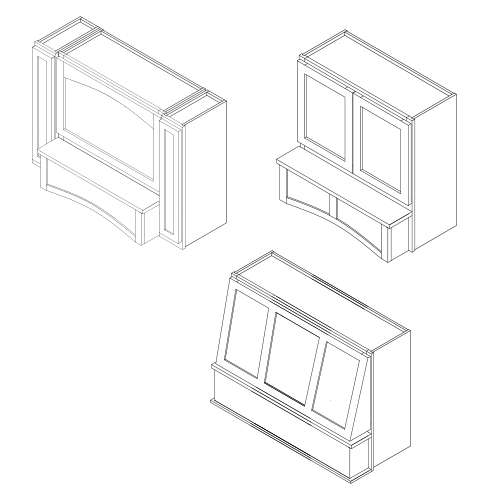 We can design a hood to fit the style of your design. The coordination of a hood liner and blower is very important, please email Orders@FoundersChoice.com for more information about our standard blower options. We can also create a custom design for a liner and blower that you specify — if you choose this option we will need the custom unit on site in order to finish fabricating the hood for a perfect fit.